Hi there and welcome to BrewStitched.com. We are an online store featuring a variety of modern fabrics and patterns and more and want to INSPIRE and SUPPLY your creative needs! Grab a cup + shop + make! My name is Sheryl and I'm the owner, designer, and Chief Fabric Officer! The name of the shop was inspired by my love of coffee and sewing! I started this business as a way to showcase quilts I make and it quickly expanded into a fabric shop. And boy are we growing! By moving off Etsy and onto our own website we're able to offer you more shopping options and selections and I'm excited to see us continue to grow! I started sewing clothes while I was in high school and bought my first sewing machine in college. I've been sewing for my kids and friends ever since. I love sewing clothes, bags, pillows and quilts so you'll find fabrics and accessories for any of these types of sewing projects. 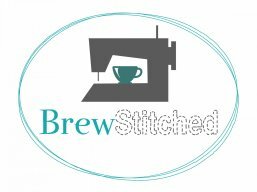 You can reach me at sheryl@brewstitched.com or any of my social media links on the homepage and we're located in Washington State, north of Seattle. Enjoy looking around, feel free to ask for special orders, I will accommodate if I think I will have the time.